Meet Sangyi Lee EAMP, L.Ac. Your body contains wisdom. You body was made to heal. We remind it how. We're here to provide the highest quality of care as well as promote your health. It's not just about treatment, it's about the quality of your life. Daisy Herb & Acupuncture is to provide the highest quality care in traditional Chinese medicine for integration of body, mind and spirit. Daisy Herb & Acupuncture provides herb, as well as treatments. By developing a trusting, healing partnership, Daisy Herb & Acupuncture provides the most comfortable and stable treatment with an ancient medical treatment. Daisy Herb & Acupuncture has infrared therapy with acupuncture to maximize the result of healing. Daisy Herb & Acupuncture keeps Hygienic facilities, evidence-based treatment, and cost effective treatment. You get the first word when visiting our friendly Everett office. We get to know you by listening to your goals and needs. Our experienced team strongly believes all patients should understand why, what, when, and how we will perform a treatment. Our patients’ happiness is paramount to us, which is why we personalize treatment and financial options to fit your needs. 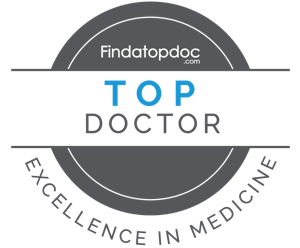 Dr. Lee has been recognized for achievement and excellence in Chinese medicine by being voted Top Doctor 2017 by Find A Top Doc. We truly appreciate your vote and support! Our top priority is to provide individualized, pain-free care that integrates the modalities of Chinese medicine. With our compassion and a gentle touch, your satisfaction is guaranteed. Each meridian has acupuncture points. And we as acupuncturist choose certain point to benefit patient’s health. Moxibustion involves the burning of mugwort, a small, spongy herb, to facilitate healing. Cupping helps stimulate the flow of blood, and overall balance and smooth the flow of qi. Chinese Herbal Medicine helps pain, acne, UTI, nerve damage, diabetes, anemia, and many more. We utilize the most effective methods to treat your symptoms and conditions. We understand trying Chinese medicine might be a little bit skeptical and can lead to many questions. Our Everett team of experts ensure that you are not left in the dark by providing all the symptoms and conditions we treat. Our beautiful Everett Chinese medicine office showcases our unique, modern style, which provides a friendly, relaxing, and fun environment for all of our patients. You body was made to heal. We'll remind it how. I had a great experience getting treated by Dr. Lee she is truly a compassionate practitioner and is very knowledgeable. She has treated me several times and I always leave feeling great. Eva(Sang-Yi) is the best acupuncturist I've ever seen. Every patient was so happy and satisfied after the treatment by her. Strongly recommend to visit! Eva(Sangyi) is definitely a great acupuncturist who really care about the patients. She is also good at herbs using and educating lifestyle. This is a fabulous place to heal your body! I'm very grateful for her skills and knowledge in acupuncture! She is professional and explains everything. Highly recommend! Sang Yi is a great acupuncturist. She takes the time to listen to everything you have to say and I had a wonderful experience getting treated by her. She makes sure you have a good treatment which is something rare in a Practitioner. First time trying acupuncture/oriental medicine. It is fascinating. She made me feel so much better after many doctors hit walls with my case. Eva has Plenty of knowledge to treat patients, also she’s a patient acupuncturist. I am thankful for the team here at Daisy Herb & Acupuncture. We went to medical school together and they helped me with my problems! Dr. Lee was great and so knowledgeable. She was so trustful and walk through the details. Highly recommend Daisy Herb & Acupuncture! If you never try acupuncture, you owe it to yourself to try Eva! She is super nice, full of knowledge, and I have excellent results every time I see her! Highly recommend! Eva is a caring and compassionate acupuncturist. She is very knowledgeable and he will listen to all you concern and give you options. If you are thinking of trying acupuncture, make sure you come here. She is really professional, patient, and kind. She would try all her effort to find the root of any problem and she is very knowledgeable. I will go no where but Sangyi to give me acupuncture and advise for herb. She is the best! Copyrights © Daisy Herb & Acupuncture. All rights reserved.